The University of Wyoming provides world-class research and instruction opportunities in a supportive small community environment. At the University of Wyoming, you are not merely a number, but are a valued and respected member of the academic community. Our rigorous academic programs and supportive student services make the University of Wyoming an excellent place to pursue your educational goals. Visit the University of Wyoming through its online virtual tour. The University of Wyoming was established in 1887. 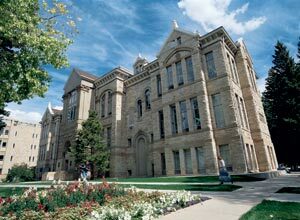 UW is the only four-year institution in Wyoming and therefore does not compete for state funding. Princeton Review has named UW the 13th "Most Connected" campus in the country. UW has, for the seventh consecutive year, been listed in America's 100 Best College Buys, published by John Culler & Sons. The University of Wyoming is listed as one of the nation's best institutions for undergraduate education in The Princeton Review's 2006 edition of "The Best 361 Colleges." Only about 15 percent of American four-year colleges are featured in the book. UW is a major research university with 180 programs of study. UW has more than 12,000 students including more than 2,500 graduate students and more than 640 full time instructional faculty. Average class size is 24 students and the student/faculty ratio is (15:1). Over 360 international students from more than 65 countries attend UW. UW honors students have won Truman Scholarships, Goldwater Scholarships, and NSF Fellowships. Others have won Rhodes, Marshall, and Mellon fellowships. UW's safe, residential campus in a friendly university community makes it a great place to live and study. UW offers students superior academic programs and opportunities for a wide range of activities and outdoor recreation that provide a challenging, healthy, enjoyable lifestyle. The area surrounding Laramie, Wyoming, includes some of the most beautiful regions of the Rocky Mountain West. Outdoor activities abound including hiking, climbing, camping, mountain biking, Nordic and alpine skiing, fishing, and hunting. Many of these activities are just minutes from downtown Laramie. 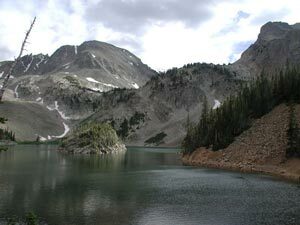 One can also take day trips to Rocky Mountain National Park and many other spectacular locations. Laramie is also within a one-to two-hour drive of some of Colorado's vibrant front-range cities including Denver, Boulder, and Fort Collins.